Outlet malls consist of brand name discount stores often located outside of city limits, but near vacation destination spots. This makes them an ideal place for tourists and vacationing families to shop and save on a variety of personal and household products. Individual stores in the outlet malls sell clothing, sporting goods, electronics, footwear, jewelry, and home goods, as well as many other brand name products at deeply discounted prices. These items are surplus or slightly irregular and come directly from the manufacturer. Out-of-town locations help minimize the outlet mall's overhead costs. Outlet store operators may also have contractual obligations to minimize competition with manufacturers and many must be located at least twelve miles outside of major cities. Factory outlet malls originally developed as stores attached to a factory or warehouse, and sold surplus stock at discounted prices. Today, the typical factory outlet mall consists of many outlet stores grouped together in a convenient location, conducive to leisurely shopping. There are outlet malls in just about every state and adjacent to many popular tourist destinations; as such, many people look forward to a day trip to the outlets while on vacation. Be aware, however, that some items sold at outlet stores are not bargains. On OutletMalls.us, you will find a directory of selected factory outlet malls for your shopping convenience. With outlet malls popping up nationwide, chances are you will come across one in your travels. However, if you find yourself itching for an outlet shopping experience without the drive and the crowds; you can enjoy shopping online at the Real Outlets shopping site listed below. Get ready to go shopping! This firm is a leader in the outlet retail industry. VF Outlet stores offer brand name jeans, intimate apparel, sportswear, outdoor products, backpacks, swimwear and children's apparel. VF brand names, including Vanity Fair, Lee, Wrangler, Nautica, JanSport and Lily of France, are sold in outlet locations nationwide. 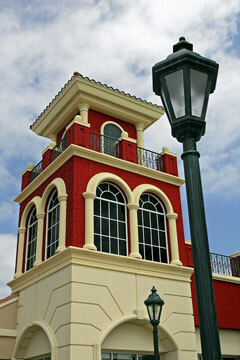 Tanger pioneered the factory outlet center industry when it opened its first outlet mall in 1981. Today, Tanger features outlet centers nationwide. Operates outlet centers nationwide, featuring an unparalleled collection of designer and name brand outlet stores. This shopping center operator features over a dozen outlet shopping centers nationwide. Mills properties are owned by Simon Property Group. Enjoy shopping at 10 outlet shopping centers located in 8 states, including many famous name brand stores. Discount Stores – off-price retailers. Outlet Stores – factory outlet shopping.